As part of our continuing series of 2012 Writing and Illustrating for Young Readers Conference faculty interviews with interviewer Carol Lynch Williams. Here is a sneak peek at the Introduction to Writing for Children and Young Adults teacher, A. E. Cannon. A. E. Cannon: Well, I’m a morning person, so I try to write in the morning. I also write to a word count. Right now I aim for 500 a day on this novel thing I’m working on. Five hundred words isn’t that much, but if you keep at it, you’ll have a book by the end of the year. Also, I don’t feel compelled to write chronologically. If I get stuck or don’t know what’s going to happen next, I skip ahead to a scene I feel a little more confident about. And speaking of process, I find I distract myself a lot when I’m on the computer, so lately, I have been writing by hand. The bad news is that I can’t read my own writing. AEC: I love mysteries. That’s mostly what I read these days. And non-fiction. AEC: I wouldn’t say the plots come from my own experience, although now that I think about it, my oldest son worked at a video store and wore a name tag that said “Sergio” on it, just like Ed in The Loser’s Guide to Life and Love. My characters, however, are usually based upon a real person. The good news is that no one ever sees themselves in my books. They just see other people . . .
AEC: Surviving five teenaged sons. And finishing a half-marathon in Disneyland. 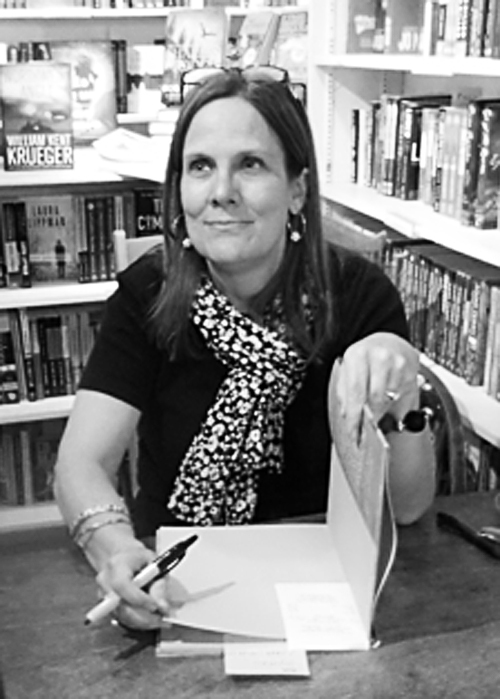 A. E. Cannon will be teaching the Introduction to Writing for Children and Teens at WIFYR this year. Register online today! Ann Edwards Cannon was born in Salt Lake City and raised in Provo where she earned both a BA and MA in English at Brigham Young University. She was the winner of the Delacorte Press Prize for an outstanding first young adult novel and has published a number of books for children and young adults. She has also written non-fiction for regional and national publications. Ann has taught children’s literature and creative writing at Westminster College and BYU. Currently, she writes a weekly column for the Salt Lake Tribune and works as an occasional bookseller at the King’s English. This entry was posted on Monday, May 7th, 2012 at 10:42 am and is filed under Uncategorized. You can follow any responses to this entry through the RSS 2.0 feed. You can leave a response, or trackback from your own site.